If you love getting together with other readers to discuss great books, consider joining one of the library’s many book clubs. The library has book clubs for all ages, even kids! The Read Me a Movie club is for kids in the first and second grades. We will meet four times throughout the school year. In this club the kids will read great books that have been made into movies. Then we'll spend a Sunday afternoon watching the movies and comparing the two. Promises to be a great time! There are no fees for any of our Children's Book Clubs, and the kids will get to keep a copy of each book. Sign-up is required. This program is sponsored by the Pendleton Kiwanis. The Rocket Readers club is for kids in the third and fourth grades. They meet once a month on the second Tuesday from 6 - 7 p.m., between October and May. Club members discuss the monthly book selection and do a related activity or craft. There are no fees for any of our Children's Book Clubs, and the kids will get to keep a copy of each book. Sign-up is required. This program is sponsored by the Pendleton Kiwanis. The Page Turners club is for kids in the fifth and sixth grades. They meet the third Monday of the month from 6 - 7 p.m., between October and May. Club members discuss the monthly book selection and do a related activity or craft. Expect lively discussion in this club! There are no fees for any of our Children's Book Clubs, and the kids will get to keep a copy of each book. Sign-up is required. This program is sponsored by the Pendleton Kiwanis. The Bodacious Book Brigade is for 7th through 9th grade students. This awesome group of teens meet on the 7th Tuesday of every month from 4 - 5 p.m. Students discuss age appropriate books and graphic novels. Snacks that tie into the book’s theme are provided. This group, when possible, have Skype interviews with the authors of the books. There are no dues for this club, and the club discusses books February through November. The Bodacious Book Brigade is sponsored by the Friends of the Pendleton Library. Biblioteens, for high school students, meets on the 3rd Tuesday of every month from 3 - 4 p.m. Students discuss age appropriate books and graphic novels. Snacks that tie into the book’s theme are provided. And enhanced content, like Skype interviews with the author, are provided when possible. There are no dues for this club, and the club discusses books February through November. 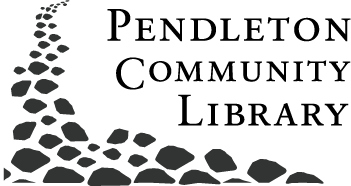 Biblioteens is sponsored by the Friends of the Pendleton Library. The Starry Night book club meets on the 2nd Thursday of every month from 6:30 - 7:30 p.m. Members should be at least sixteen years of age. Each member will have the opportunity to help select the books that will be read during the year. While typically full, please email cbellessis, or call 765-778-7527 ext. 2109 to discover if you can be a part of these lively discussions. This 21 and over book club meets on the third Thursday of every month from 1 - 2 p.m. Sometimes the club picks up and moves to a local restaurant where the discussion continues over food and drinks. This club is currently full, but please email cbellessis, or call the library at 778-7527 ext. 2109 to be placed on a waiting list.